This Restorative Hot Stone Training is designed to educate licensed body workers in the procedure of using stones effectively with massage therapy. This class is unique with its emphasis on using the heated stones to administer therapeutic deep tissue work while profoundly nourishing the nervous system. This technique can be easily incorporated into one’s own practice with benefit to both therapist and clients. Ayurveda is the natural holistic healing system practiced in India for thousands of years. It aims to harmonize the body, mind, senses, and soul. 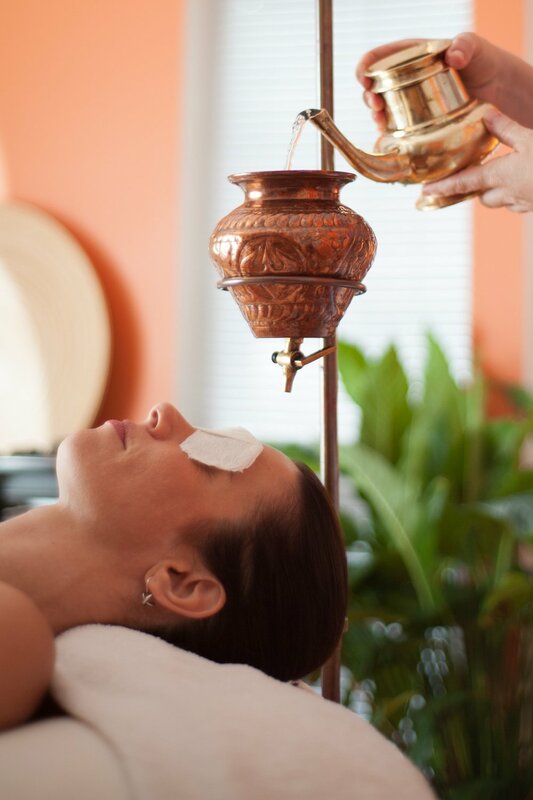 Shirodhara is an ancient therapy, but this luxuriant treatment is increasingly being sought out by modern spa goers and health enthusiasts around the world, for its instant, naturally calming, and rejuvenating effects. Learning the proper way to administer Shirodhara is very important and investing in a good training will benefit you and your clients for years to come.